We awoke in Amarillo, TX, to thick fog, worried that the day was going to be hampered by lack of sunshine and instability. 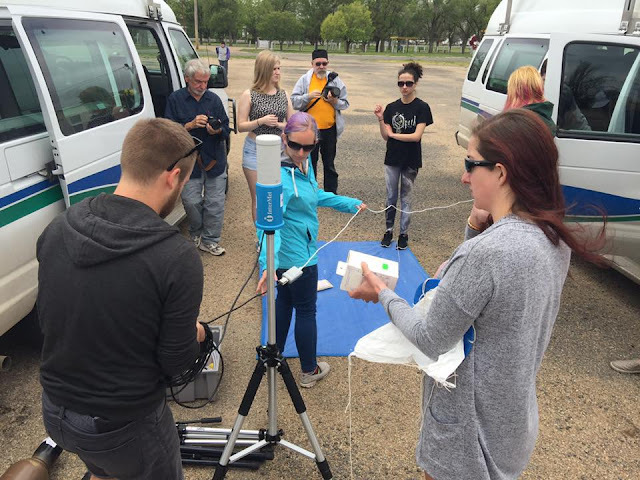 After lunch in Dalhart, TX, we traveled northwest to Boise City, OK, where we launched a weather balloon from a park on the north side of town. 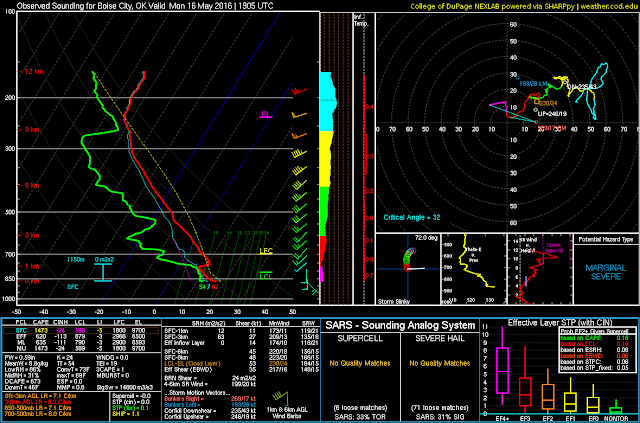 Balloon data showed that winds just off the surface were meager and that storms may have a difficult time having strong low-level mesocyclones. 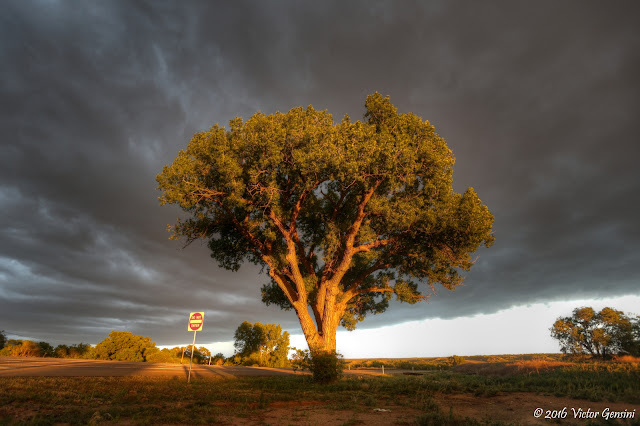 Storms began to form as we were collecting data and we tracked them to the TX/NM border near Texline. 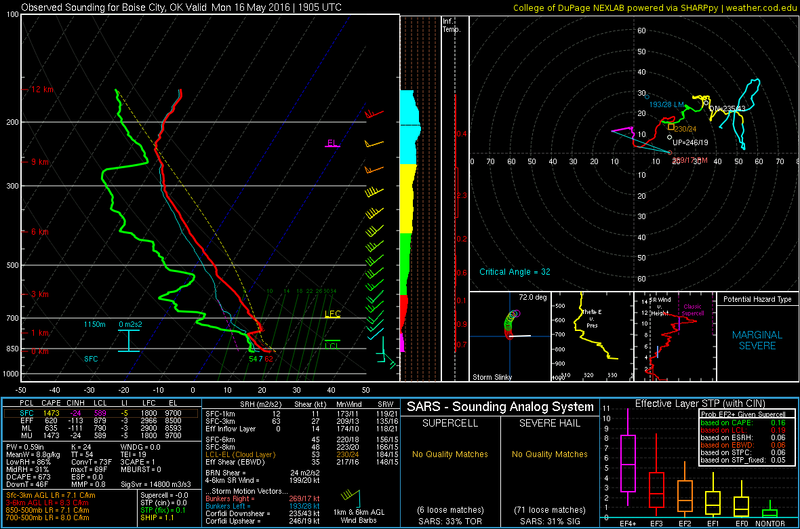 Cool rear-flank air and lack of substantial moisture likely inhibited this from being a very good day. Nevertheless, we did see a brief tornado on HWY 120, just south and east of Texline. There was no full condensation of the tornado, but it did have ground/dust circulation for 1-2 min. After the storms became shrouded in outflow, we dropped south of Stratford to near Marsh and let a big supercell cross the road north of us. We went back to see how big the hail was, and found lots of baseball and tennis ball size hail. MISC: Overnighted in Lubbock, TX.